using a blender or food processor add the flour, sugar, salt, cinnamon, nutmeg, vanilla, milk, eggs & butter. blend until a smooth batter is formed. let rest for 30 minutes at room temperature. once batter has rested, heat a non-stick skillet on medium heat. 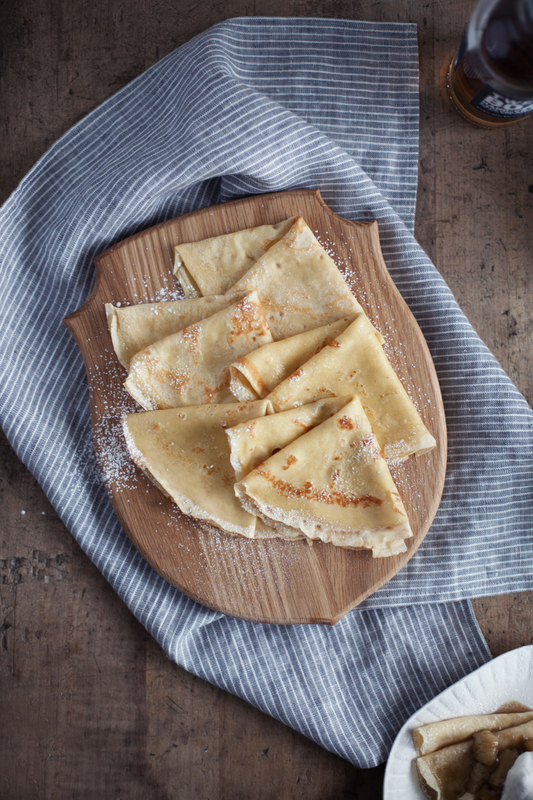 adding a touch of butter per crepe, scoop 1/3 cup of batter into the skillet & swirl around the pan until a very thin pancake has formed. cook for 1-2 minutes per side. repeat until no batter remains. 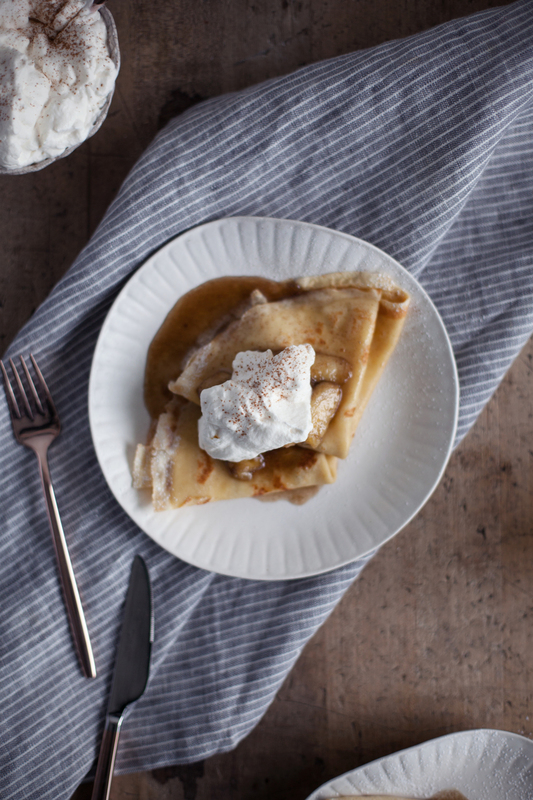 in a skillet over medium heat add butter, sugar, rum, vanilla, cinnamon & nutmeg. bring to a boil & let simmer until the sugar fully dissolves. add the sliced bananas & cook until bananas soften. about 2-4 minutes. 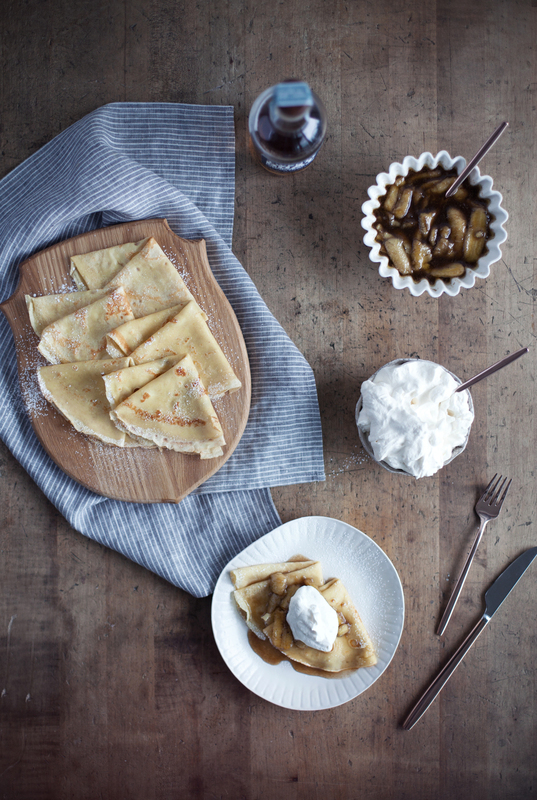 serve over warm crepes & top with a generous dollop of whipped cream or a scoop of vanilla ice cream (or both.. yolo)! this post was created in partnership with south hollow spirits. 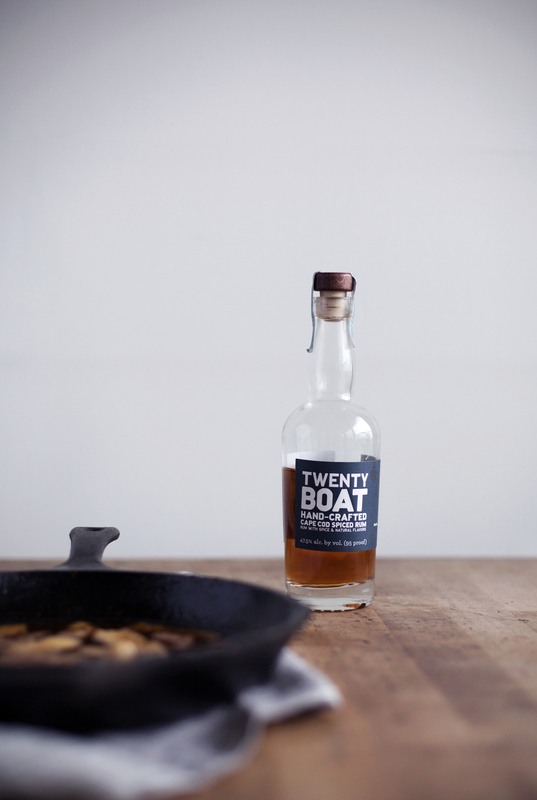 the recipe features their twenty boat hand crafted spiced rum! south hollow spirits makes their rum in small batches starting with organic cane sugar & organic molasses. 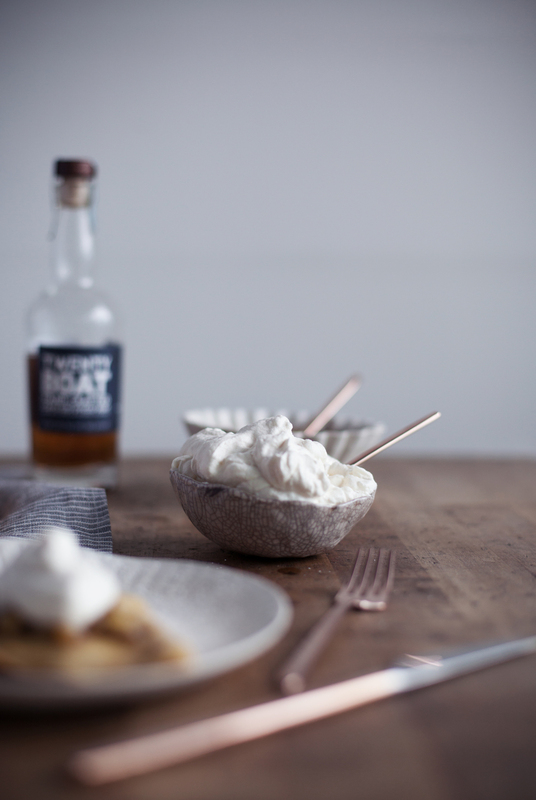 banana foster deserves only the best of rum & you can find the twenty boat spiced rum here.